The new projects are part of a huge building boom on campus in recent years, and reflect growth of facilities in needed areas. 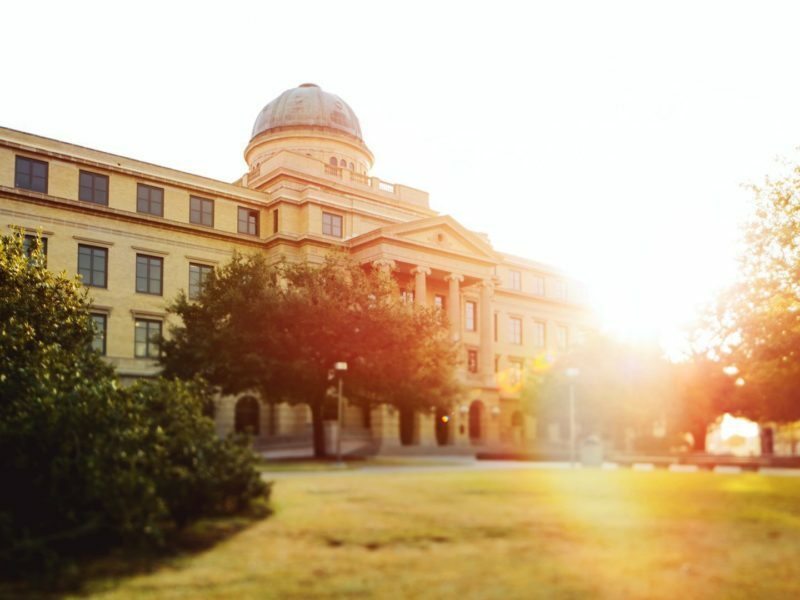 Several recent projects approved by The Texas A&M University System Board of Regents will impact the main campus in College Station. Projects include renovation of the Gibb Gilchrist Building at Texas A&M, an existing three-story office building that is being utilized by the Texas A&M Transportation Institute (TTI). The programmed spaces in the renovated Gilchrist building will include offices, conference and meeting rooms, lecture and classroom spaces, teaching and research laboratories and support spaces. Construction on the project is scheduled to start in June with a completion scheduled for December. The total project budget is $8,189,705. In addition, construction for the ’72 Wing Chemistry Ground Floor Project at Texas A&M was approved, and the project will provide renovated laboratories and associated support facilities for biological chemistry and synthetic organic chemistry research projects, as well as laboratories for analytical and mass spectrometry instrumentation. The project is scheduled to start in May, with substantial completion scheduled for September. The total project budget is $6.4 million. The board also approved construction for the RELLIS Agriculture & Workforce Education Complex Project at The Texas A&M University System’s RELLIS Campus in Bryan. The facility will serve as home to construction trades training and Texas A&M’s agricultural education program, which prepares agri-science teachers to enter high school classrooms across the state. Officials believe that by providing hands-on learning opportunities and training, the facility will produce highly-talented individuals to excel in industries both statewide and nationally. Construction will start in May, with substantial completion scheduled for June 2020. The total project budget is $15 million. For more information on these and other projects, see the System website.